Up to 90 percent of the centennial Arctic thaw appears to be due to soot, with the Arctic ice loss constituting nearly 19 PERCENT of ALL global warming since the 19th Century (Zender, Hansen, Ramanathan). 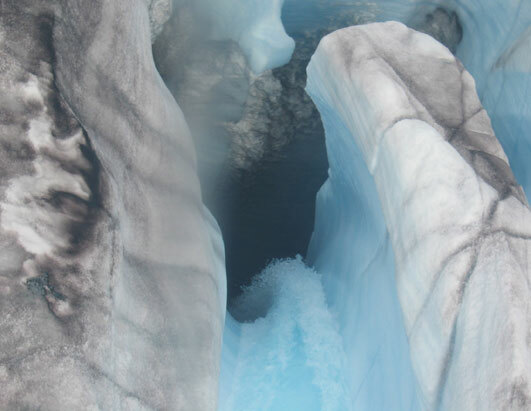 Woods Hole published photos of ice lakes in Greenland and I could see that the snow & ice were as dirty as the shoveled mounds of snow in NYC after a good snow. Zender's opening statement comes about a third into the video, after Ramanathan: CURRENT black carbon heating effect in the Arctic is equal to CO2's effective warming effect in the Arctic (air & sea). - Historical Effects: Up to 90 percent of the historical Arctic thaw has been due to soot (the past 200 years). http://www.scienceagogo.com/news/20070506202633data_trunc_sys.shtml "… The effect is more conspicuous in Arctic areas, where Zender believes that more than 90 percent of the centennial warming could be attributed to dirty snow." The *ongoing* effect of soot is around one-third of all warming effects in the Arctic , but the centennial effect could be as high as 94 percent. Both figures are actually consistent with each other: The current 33% effect is an ongoing progressive amount, the 90% effect is a historical figure from compounded decimation (especially when historical CO2-driven warming was relatively small). - The Arctic has warmed about 1.6 degrees, with dirty snow causing 0.5 to 1.5 degrees warming, potentially as much as 94 percent of the observed change. - New snows lose their rejuvenating effect on aging ice packs, no longer being perennially young and bright. 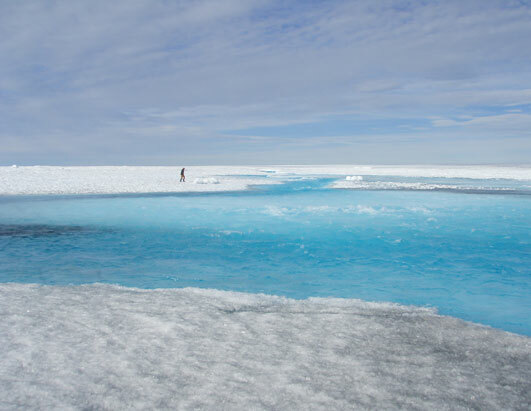 - Warming a patch of Arctic ground triggers more climate change than warming a comparable patch of ground that isn't covered by snow in lower latitudes. That is if the small region of the poles were kept from warming by a few degrees, it would keep climate more stable than keeping a similar-size region of the tropics from warming," he said. - Nations that encircle the Arctic, including the United States , Canada and Russia , could get more bang for the buck by reducing soot in the Arctic than by reducing greenhouse gases elsewhere. - Contemporary Effects: One third of the current ongoing Arctic thaw is due to soot. "Keeping the poles cold is a great place to start … Preserving the climate in the poles is very important now relative to any other piece of real estate on the planet." Essentially Zender is saying that in the Arctic the benefits of significant soot mitigation would be like cutting CO2 levels by a third (or more). The efficacy of soot mitigation is far greater, however, because soot mitigation has an immediate effect, as opposed to waiting 50 years for the effects of an equivalent reduction of CO2 now. A NASA & NOAA team are current surveying the Arctic haze situation as well, getting real field data on how much air-heating effects can be attributed to aerosol soot. - Shipping through the northern passages could be compounding the soot deposition trend - ships use very heavy crude. - Annual emissivity (heat release) to insolation (solar heating) ratio is somewhere around 2:1 from open waters in the Arctic . That is, without the winter jacket of ice over the open waters, the Arctic could start losing more heat than is being put into it directly from the sun (much in the way that a deiced heat exchange coil works better).